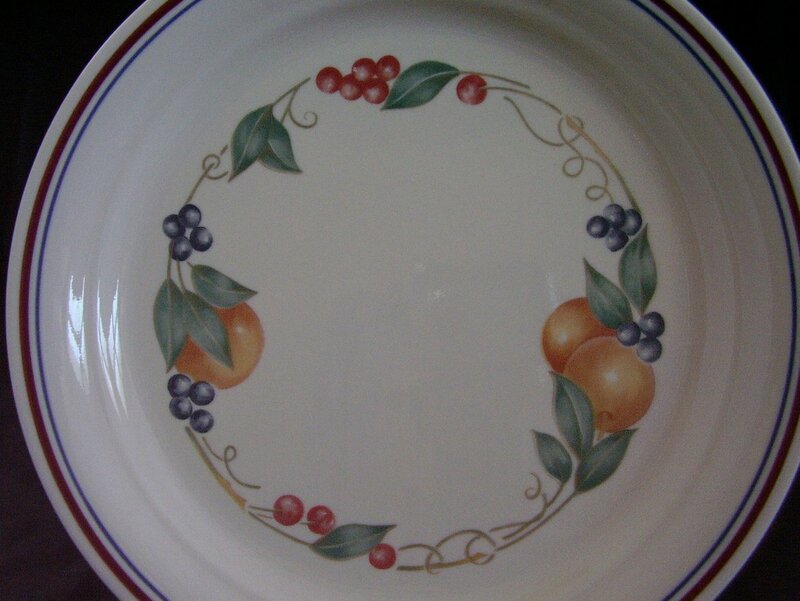 Corelle Impressions Abundance Lunch plate. Introduced in 1990. Infused with golden tones, the warm and welcoming Abundance pattern showcases a bounty of autumn fruits. 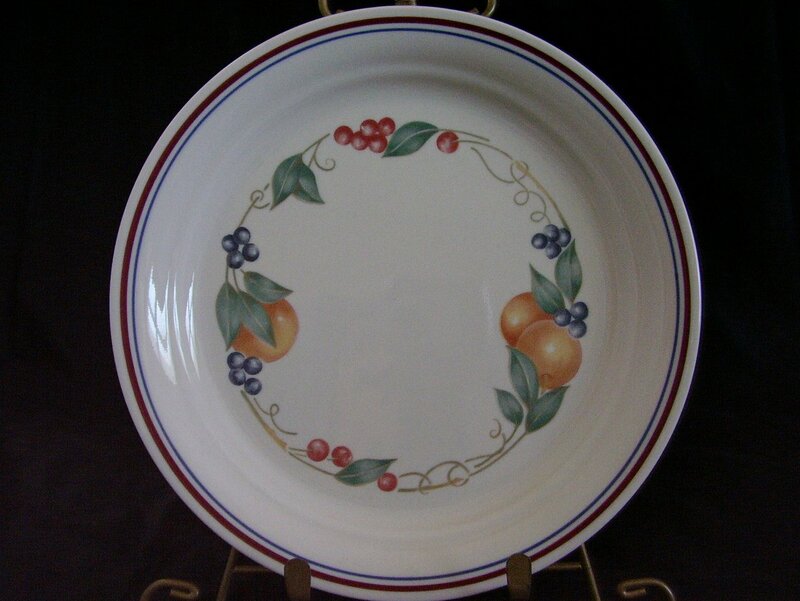 Corelle Impressions Abundance Lunch plate. Introduced in 1990. Infused with golden tones, the warm and welcoming Abundance pattern showcases a bounty of autumn fruits. Plump red and blue berries sit amongst a garland of leaves and vines, intertwined with fall oranges. Encircled with a dark double-banded rim, and set against an off-white background, the central fruit motif evokes the feel of a warm, sunshine-filled day, and is the perfect collection with which to enjoy an al fresco meal. Microwave and dishwasher safe. In very good used condition, it has no cracks, chips or scratches. Decals are bright, shiny and intact. Measures 8 1/2 inches in diameter. There are extras available.